Make shichimi, a traditional Japanese spice blend, by mixing the 7 ingredients to your tastes. Keep your spices in a traditional seasoning container made of bamboo for a touch of Kyoto wherever you are. Are you looking for a quick and unique experience in Kyoto? Then why don't you join this shichimi blending workshop. 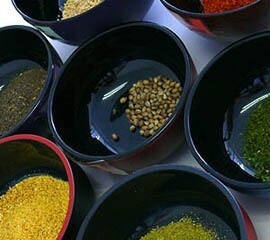 Shichimi is a traditional Japanese spice which consists of seven different ingredients. Blend and make your original shichimi for your future cooking at home! It can be a perfect memento of your trip!